How fun is having a good time with your kids working together to create a very special project! This activity allows parents and children enjoying themselves not only during this process of having ideas, but also during the meal times. Also, this activity promotes a good understanding of teamwork, respecting for each other’s ideas, cooperation, decision making and fine skills. note: You can give to them magazines ,catalogs to cut out their favorite pictures or use their favorite self-adhesive stickers; Or you can let them draw whatever they would like to see in their own place mates (exp: numbers, shapes, animals, positive words, planets, houses ,flowers, in other words, whatever they want to express throw their drawing). Then, if you choose to use pictures, you will have to select as many pictures you want for your art work and using a glue stick, stick your pictures to your card stock or construction paper. If you choose drawing you can start using the crayons or color pencils directly on your card stock or construction paper. If you choose self-adhesive stickers you can start to stick it on your card stock or construction paper. You can use one side or both sides of your place mate to create an art work. If you want a more challenge experience you can pick a theme and let them look for the pictures, the stickers or let them drawing things related to that theme. Anyway, it is your art work! Then, finally use the self-adhesive laminating sheets to finish the project. Or, you can take it to an office supply store nearest to you for a more heavy duty and professional finishing . You can create various place mates for different occasions (exp:birthdays, holidays, events and etc…), or seasons. Also, you can customize it using different techniques. Now, get ready and enjoy your time. I hope you liked this suggestion. Kids are living in a time where technology plays an important role. Then, why not take advantage of it? The right tool for the right project is equal to enhancing skills. It always worthwhile to give your kids a chance to explore new ideas. Do you know that photography has many applications such as business, science, art, recreation, manufacturing, mass communication and school projects? Gather your family and put their creativity to a test! Let’s have fun! You can choose themes such as animals, family, nature, trains, cars, bikes, toys, fruits, swimming pull party or just about anything you can think of. 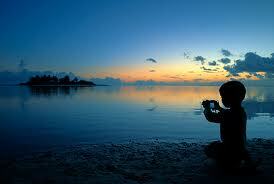 - digital camera, cell phone, I-pad or any equipment that you might have that allows you to take pictures. - any computer, laptop and printer that you have to download and print your pictures. note: Select the pictures you liked, print and stick on your card stock or post board. When your project is complete, you can use it to decorate your room. Another possibility is to use your pictures on an photo canvas art, photo poster, t-shirts, aprons, mugs and etc… going through a print shop ( nearest you or online ). Reading aloud is widely recognized as the single most important activity leading to literacy acquisition. Among other things, reading aloud builds word-sound awareness in children, a potent predictor of reading success. Evidence suggests that these lost practice opportunities make it extremely difficult for children who remain poor readers during the first three years of elementary school to ever acquire average levels of reading fluency. Reading aloud to young children is not only one of the best activities to stimulate language and cognitive skills; it also builds motivation, curiosity, and memory. 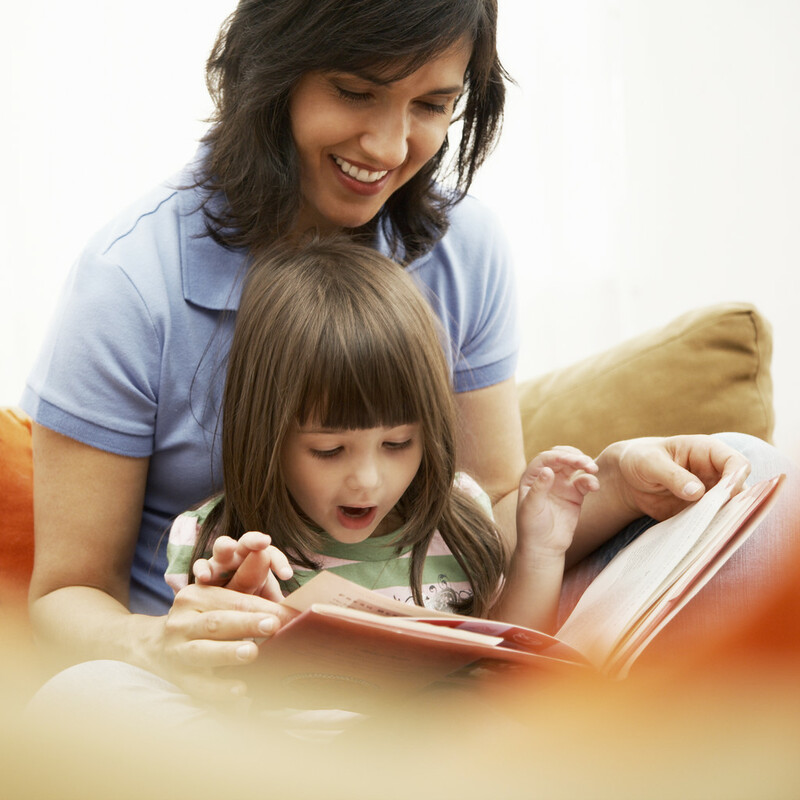 Reading aloud stimulates language development even before a child can talk. Reading aloud is a proven technique to help children cope during times of stress or tragedy. 1. Reading sparks imagination. Adults who know the joy of getting lost in a good book understand the incredible power of story-telling through the written word. 2. Reading demands attention. Listening and being able to pay attention are prerequisite skills for preschool and kindergarten. 4. Reading reinforces book-mechanics. Children watch how grown-ups hold books, read from left to right, and turn pages from the front of a book to the back. 5. Reading helps children sleep. Actually, solid bedtime routines help children sleep. Including at least 15 minutes of reading to children before bed will establish a series of events that a child can begin to associate with their evening activities. 6. Reading helps speaking. Listening to adults read provides an example for children to understand what proper speech sounds like. 7. Reading increases vocabulary. Hearing words read and used in context helps increase vocabulary at any age. 8. Reading provokes critical thought. A well-selected story will challenge and expand a child’s mind, allowing them to experience life stories and events from the past, present, and future far removed from their day-to-day lives. 9. Reading begets reading. Showing children that literacy is important makes it important to them as they grow and mature. 10. Teachers will thank you. Aside from the personal, developmental and early learning benefits, children who have been read to regularly enjoy increased vocabulary, better writing skills, and more ability to focus during class. Put on a reporter’s cap and get the scoop! Start by reading a short article from your local paper to your child and explain how reporters research and investigate events for a news story. 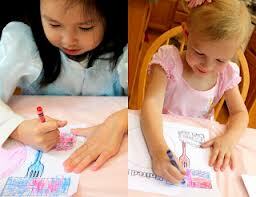 Encourage your child to write a short article explaining something that interests them to you or their friends. This is a great way to introduce The Five W’s (Who, What, When, Where, and Why) that will help them develop their writing and story-telling skills for years to come. When they are done, let your child report the story to you like the news anchors on TV. Making books is a great time to leave the world of technology. If there is reason for needing to use the computer for writing text, that’s fine, but if not, encourage your kids to do the writing in their books by hand. They will then be true expressions of the child in every way. What kid wouldn’t love a special book made just for them. Even if you are not creative, you can do it! Children love the idea of a book made just for them and if they are the star of the story; your child will appreciate so much the better. Here are a few ways to select the best toys. 1. Go natural. Look for safe toys made of natural materials like solid woods (with no finish or a non-toxic finish) and organic textiles (cotton, wool, felt, etc). 3. Re-purpose. An empty box or set of stainless steel bowls can provide hours of happy play. 4. Look for items that will last. High quality toys may cost a bit more, but they will last much longer and can be handed down to younger children. 5. Read labels. What’s this toy made of? Where does it come from? Get to know a toy before you buy it. 6. Look for local. Reduce greenhouse gas emissions by buying local and Eco-friendly. 7. Open-ended toys. Look for items that encourage creativity and are capable of being used for many different types of play. Wooden blocks, colorful scarves, smooth stones, and even cardboard boxes are fun, safe toys that can be the foundation for innumerable creative adventures. 8. Avoid cheap jewelry and kids’ cosmetics. Both of these types of dress-up products are high-risk. Cheap jewelry often has high lead levels and kids’ cosmetics can have any number of questionable chemicals. 9. Throw away plastics. If you do buy plastic, look for safer plastics like those labeled #1, 2, 4, or 5 in the chasing arrows symbol usually found on the bottom of the product. Call the manufacturer if the toy is not labeled. 10. Sign-up for recall alerts. The Consumer Product Safety Commission posts recalls online, as does the website recalls.gov. If a toy you own is recalled, take it away immediately and follow the company’s instructions on how to get a safe toy replacement. 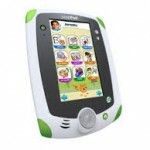 The device continues to be less expensive, more durable, and more kid-friendly than an iPad. Kid’s love how fast the device is as well as the increased number of recognizable characters in the apps. In addition to LeapFrog’s signature characters, there were more Disney and Sesame Street properties than ever before. 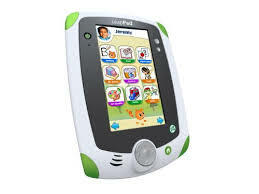 Each LeapPad2 comes with four installed apps and one of your choice that can be downloaded for free. The faster processor means apps load fairly quickly. The lack of WiFi means parents still have to attach the devices to their computers to download new apps. The LeapFrog Connect process can be slow and burdensome in this day and age but it makes for a great safety feature when it comes to monitoring and supervising. The new creativity app that is included on the device called Cartoon Director allows tots to place their mugshot onto cartoon characters and then turn them into movies.